Să rămâi printre cuvinte ? N-ar fi mai lesne chiar pe ele să le locuiești ? 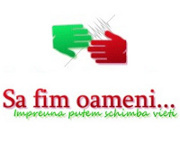 This entry was posted on 7 June 2012, 22:50 and is filed under Scrisori cu Fata de fragi. You can follow any responses to this entry through RSS 2.0. You can leave a response, or trackback from your own site.